Over the years, Intel has consistently brought to market low-power CPUs for use in thin and lightweight laptops, and with each new CPU the power requirement has gone down. This trend continues with Intel’s Core M CPU (previously codenamed Broadwell-Y), which is the first CPU released using the company’s advanced 14 nanometre manufacturing technology. 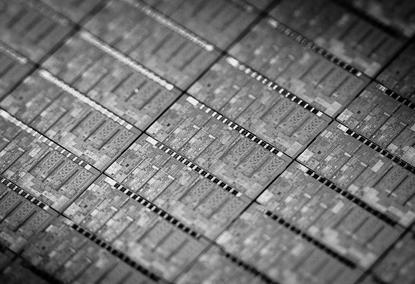 It’s also a CPU that has been designed first and foremost for slate devices rather than typical laptops — it’s not a regular laptop processor that has been refined to work in thinner machines. Indeed, what the Core M represents is a low-power, yet speedy CPU for tablets and 2-in-1 hybrid devices. The new name (Core M) sets it apart from Intel’s Core i range of CPUs, as it’s not meant to be compared with those directly. The Core M is different to those in that it’s a passively cooled CPU that can be installed in form factors generally up to 9mm in thickness. The fan-less design has been achieved through the use of Intel’s 14nm manufacturing technology, which makes the CPU physically smaller and more power efficient. A power rating of 4.5W has been given to the Core M, and it also has a thermal design power (TDP) that can be configured in the BIOS by device makers, allowing the power profile for it to be tailored further depending on the physical nature of a product’s design. How the CPU is kept cool depends on the product, but, in general, the heat is dissipated throughout a product’s chassis according to guidelines that Intel has set. According to Intel, there should be no ‘hotspots’ on products that use this fan-less CPU, so tablets won’t accumulate heat in one place and be annoying to hold. Best of all, they will also be completely silent in their operation. The Core M can be compared against the previous 4th generation of CPUs that featured the ‘Y’ designation (such as the Core i5-4302Y, for example), which are products that have a thermal design power of 11.5W. Along with more battery life, Intel claims that even at 4.5W, the new Core M CPUs are up to 19 per cent better for office productivity, 82 per cent better for video conversion, and up to 47 per cent better for 3D tasks. The transistor count in the new generation has been upped to 1.3 billion from 0.96 billion in the previous generation, while the die size has gone down to 82mm squared, from 131mm squared, saving space on the motherboard. Already, Intel is tracking more than 20 designs based on the Intel Core M CPU, and it says that systems from five manufacturers will be available for both consumer and business users starting in October. It expects additional systems to be available in early 2015. The CPU models have a new naming convention compared to previous products. The Core M CPU line up will consist of the 5Y70 (two cores, four threads, 1.1GHz speed, 2.6GHz burst speed, and vPro), the 5Y10a (two cores, four threads, 0.8GHz speed, 2GHz burst speed), and the 5Y10 (the same as the 5Y10a, but with a 4W configurable TDP). Management via vPro is supported in the top model, which Intel says is a reaction to the needs of businesses that want to be able to better manage the security of tablets and hybrids that are brought in by employees using BYOD (bring your own device) schemes. While the standard speeds of the new CPUs are low, the burst mode is said to more than make up for this, and the CPUs are designed in such a way so that they ‘hurry up and go idle’ after completing a workload. Owning the entire design of the CPU also allows Intel to better regulate power and switch off circuits as needed. All of the CPUs feature Intel HD 5300 graphics, with a maximum frequency of 850MHz, and products based on the Core M are said to be able to easily handle tasks such as 4K video playback and touchscreen gaming. The Core M is an important CPU for Intel, as the company has recognised the growth in the 2-in-1 market, which right now offers more than 70 different designs ranging in size and segment for consumers to choose from. Furthermore, Intel cites that people who buy a 2-in-1 device are more likely to upgrade their device one year earlier than typical notebook buyers. At the same time, Intel is hoping that the new CPU’s blend of speed and power efficiency will help to entice users of older laptops (of four or more years old) to head to stores and buy sleeker 2-in-1 devices.